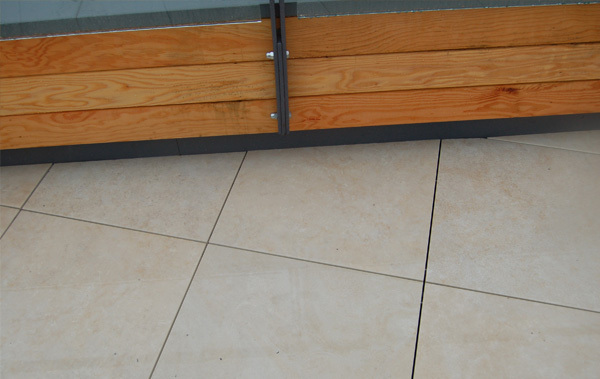 Tools required: Wet cutter with continuous diamond blade for straight cuts; angle grinder with continuous diamond blade for small cuts; tape measure. 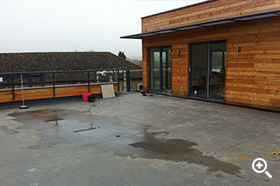 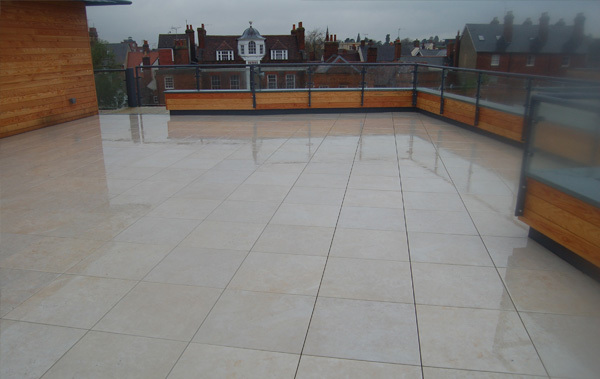 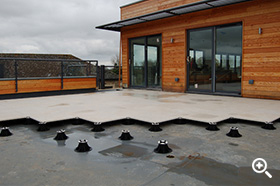 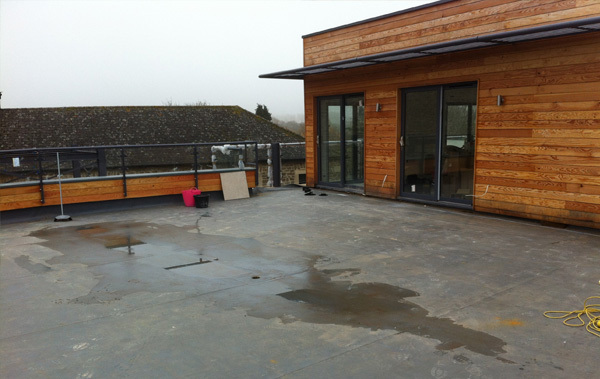 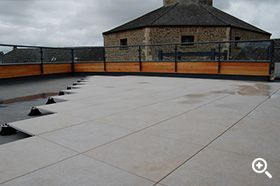 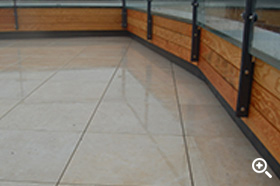 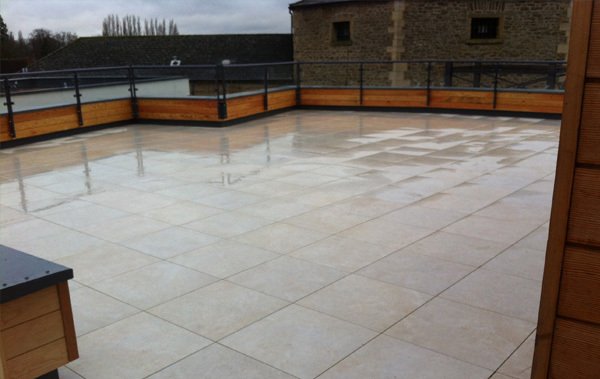 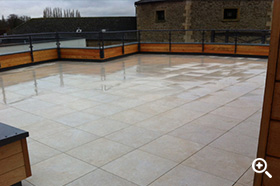 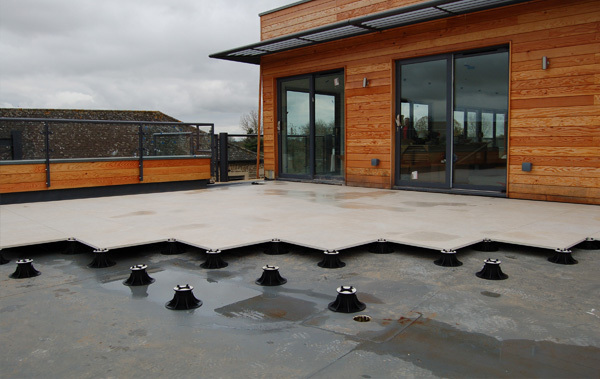 The roof terrace area prior to commencement of works; the surface is a single ply membrane, with multiple falls (6+) converging at the central drainage point you can see in the photo. 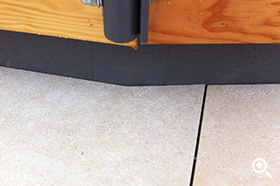 The paver surface height needed to range from +35mm at the highpoint to + 110mm at the low point around the drain. 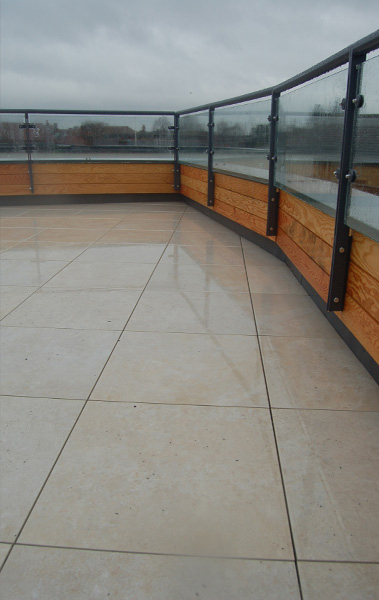 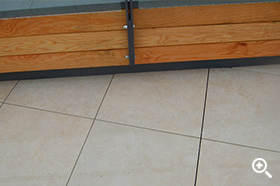 Levato Self Levelling Pedestals were specified, negating the need for shimming to level pavers at joints, this greatly improved the speed and overall finished appearance of the installation.